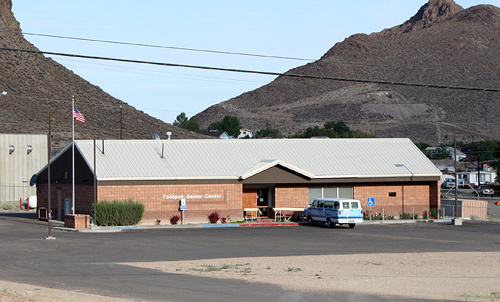 The Tonopah Senior Center provides congregate and home-delivered meals to clients age 60 and over. If you or someone you know is in need of this service please contact the senior center at 482-6450 for more information. We also provide transportation to clients 60+ or the general public on a space available basis. The transportation service provides rides to the senior center for meals; to the post office; for banking; for medical appointments; and for grocery shopping, at least once a week on Tuesdays. Every other month a trip is scheduled to Fallon for shopping, etc. The senior center offers referrals to other agencies to anyone that needs assistance. The Senior Nutrition Program provides non-emergency medical transportation to Las Vegas, Reno, Carson City, Fallon, Hawthorne and Bishop, Calif. It is recommended that you let us know as far in advance as necessary to schedule these trips. The thrift shop provides quality, low cost used clothing and household goods. Want to Volunteer at the Senior Center? Fill out Application here.